Good times for Vietnamese retailers, but can they last? (VEN) - Vietnamese retailers are enjoying unprecedented opportunities to expand their market share thanks to their understanding of the domestic market and domestic consumers. In addition, recently enacted government regulations on the establishment of retail outlets by foreign-invested enterprises, known as the economic needs test (ENT), is contributing to their development. Tran Duy Dong, Director of the Ministry of Industry and Trade’s Domestic Market Department said the Vietnamese retail market grew 11.6 percent in 2018 compared to 2017, exceeding the target set by the National Assembly and the government. 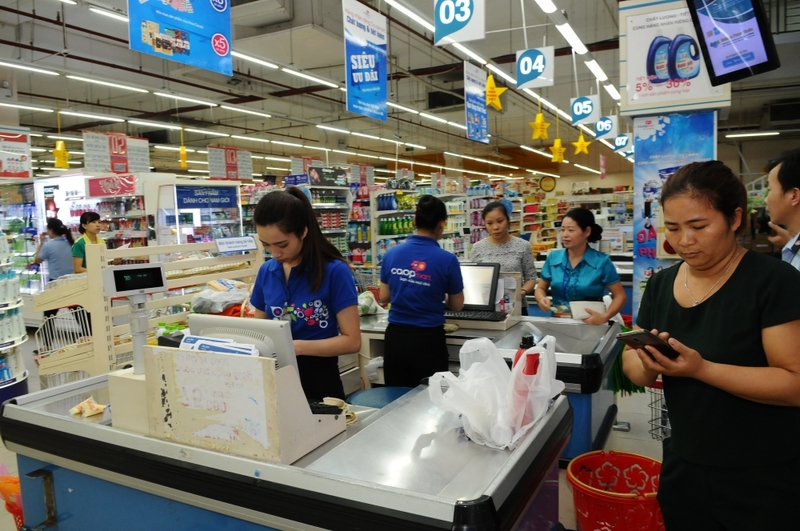 Retail models have become increasingly modern and diverse, with Vietnamese retailers boosting investment in mini-supermarkets and convenience stores, such as Vinmart + and Saigon Coop facilities, to expand their domestic market share, Dong said. More and more mergers and acquisition (M&A) deals are taking place in the retail market, attracting a growing number of Vietnamese businesses. A notable deal in 2018 was VinGroup’s acquisition of the Fivimart system from the Fivimart Joint Stock Company. Dong said Vietnam’s retail market is expected to grow strongly in 2019, as well, and electronic commerce or e-commerce will continue to surge and improve Vietnamese retailers’ competitiveness. Competition between domestic and foreign retailers will be increasingly tough. The number of minimarkets and convenience stores is expected to increase to meet consumer needs. The strong development of organic, safe food and agricultural products are also forecast to increase retailers’ revenues in 2019. Traditional markets will continue to be an important retail channel, as the vast majority of Vietnamese still choose to shop in those markets. They are an important part of the Ministry of Industry and Trade’s strategy for development of modern distribution networks pertaining to development of tourism and spiritual culture-related tours. However, Vietnam’s international trade commitments could soon put a damper on the opportunities and advantages enjoyed by the domestic retail market. The Pacific Rim trade deal signed in 2018, known as the Comprehensive and Progressive Agreement for Trans-Pacific Partnership (CPTPP), for example, will soon invalidate regulations like the ENT, a test that conditions market access upon the fulfillment of certain economic criteria and is applicable to the establishment of outlets by foreign investors. Therefore, Vietnamese retailers need to do further expand their domestic market share before the ENT becomes invalid. market and six percent in garment demand.